A Lao woman transplants rice in southwestern Khammoune province, June 29, 2007. WASHINGTON—Rising global temperatures are set to cause a huge decline in world food production, according to a new study by the International Food Policy Research Institute (IFPRI) here. And experts say poor rice-growing countries in Southeast Asia will likely be hit hard. The study, “Climate Change: Impact on Agriculture and Costs of Adaptation,” was prepared for inclusion with two reports from the World Bank and Asian Development Bank and was released Sept. 30. Without improvements in agricultural research, cultivation, and infrastructure, production declines in East Asia will be steep, IFPRI senior research fellow Gerald Nelson said. “Yields in 2050 for crops will decline from 2000 levels by up to 20 percent for rice, 13 percent for soybean, 16 percent for wheat, and 4 percent for maize,” Nelson said. Though China is a “temperate” country and will do better going into the future, temperatures in Southeast Asia are already “at the edge of where plants do well,” he added. 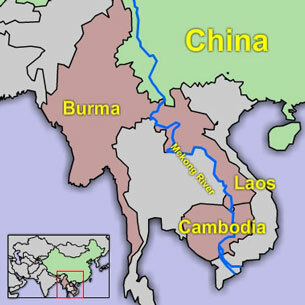 Laos, Cambodia, and Burma—countries Nelson described as “particularly poor”—may be especially hard hit, he said. “Agriculture is an intensely local activity, and you respond to changes better if you have resources at your command,” he said. A study earlier this year by scientists David Battisti and Rosamond Naylor has predicted a more than 90 percent chance that by the end of this century average growing-season temperatures will exceed the most extreme levels recorded in the past. Extrapolating from past heat waves, they predict that half the world's population could face a climate-induced food crisis by 2100. In a separate interview, Lester Brown, president of the Washington, D.C.-based Earth Policy Institute, said salt water from rising sea levels will likely intrude into agricultural areas in Burma, Vietnam, and other countries in the region. “Southeast Asia is a rice-consuming part of the world. And the rising sea level, that would be associated with the melting of the Greenland ice sheet for example, [will become] a direct threat to the rice-growing river deltas in the region,” Brown said. And as the glaciers that feed many of Asia’s rivers begin to melt and eventually disappear, river flows will be increasingly disrupted during Asia’s dry season, “a key irrigation season in Southeast Asia,” Brown said. Diseases, both in plants and in animals, are also being spread because of climate change, Brown said. Climate change is in fact emerging as “the biggest global health threat of the 21st century,” according to a May 16, 2009, report by the British medical journal The Lancet that predicts steep rises in malaria, diarrhea, and other diseases. “Furthermore, the poorest countries will suffer the greatest consequences of climate change even though they contributed the least for [greenhouse gas] emissions,” the report said. Laos. My poor country. It's always the innocent ones who suffer via the hands of greedy, money-hungry beasts! The rich countries are the evil country to distroy the climate.